I had to take a rather long absence from running this blog and reviewing books and I’m very sorry for that! I have quite the queue to review and I feel horrible for neglecting it! Other personal issues and responsibilities arose and I promise that this Monday the blog will return to it’s regularly scheduled content and I will have a wealth of reviews to post! I’m sorry for being slow and falling off the grid! It was never my intention to do so and I will be back on top of things in a few days! My apologies again and thank you. Marisa MacCallum always believed that the man of her dreams was out there somewhere. The problem is—he’s in another dimension. After the death of her father, eighteen-year-old Marisa’s life is on the verge of imploding. She seeks comfort on her daily ride through the woods of Gold Hill, but when a mysterious lightning storm strikes, she is hurled into the ancient, alternate dimension of Carnelia where she is discovered by the arrogant but attractive nobleman, Ambassador Darian Fiore. Stranded in a world teeming with monsters, maniacs and medieval knights, Marisa is forced to join Darian on a dangerous mission to negotiate peace with his archenemy, Savino da Roca. Along the way, she sees his softer side and quickly falls in love. But when she learns that Darian is locked into an arranged marriage, her heart shatters. When Darian’s cousin Savino falls for her charms and demands her hand in exchange for peace, Marisa is faced with an impossible choice: marry the enemy of the man she loves or betray them both and become the catalyst for a bloody war. Disclaimer: I received this book courtesy of the author via BookLook Bloggers. In exchange I am giving a honest review that is in no way affected by such. I will admit that, at first glance, I wasn’t very impressed with The Carnelian Legacy. Judging the book by its cover proved, as it often does, to be a bad idea. Behind the bland cover was a riveting story that I fell into just as quickly and without warning as Marisa falls into the world of Carnelia! Immediately I felt sympathy for Marisa; she’s just lost her father and suddenly she’s entirely out of her element in a world where she is an utter stranger. There’s something so human about her that I couldn’t help but adore her from the very start. The rest of the cast of characters in The Carnelian Legacy were just as good as Marisa. Cheryl Koevoet has created some fun, interesting characters that are very lifelike and three dimensional – which I always appreciate. Too often the damsel in distress angle leads to weak women and overbearing, aggravating tough guys. I didn’t find this to be the case with anyone in The Carnelian Legacy. They are just as well-rounded as the world Mrs. Koevoet has created. I found myself loving her setting! It’s such a fantastic world that immerses the reader in the blink of an eye! And the plot! I love intrigue, especially political intrigue, and she has written an engaging story that had me unable to put the book down! I love books steeped in secrets and that’s what you get with The Carnelian Legacy. Mrs. Koevoet has put her heroine in some tough situations and I loved watching Marisa getting out of them! She was a really great character and the relationship development between her and Darian was really fun to watch develop. He reminds me a bit of Mr. Darcy but in all the best ways! 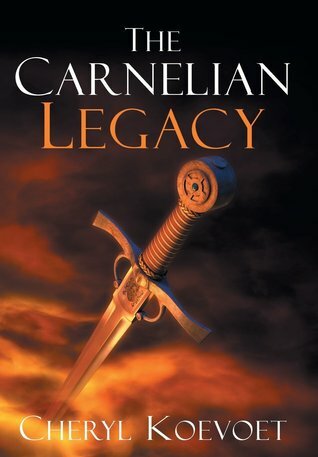 If you like an adventure with a clean, satisfying romance in a well-developed fantasy world, then The Carnelian Legacy is for you. It’s a fun read and I think Mrs. Koevoet will keep readers satisfied with her work for a long time. 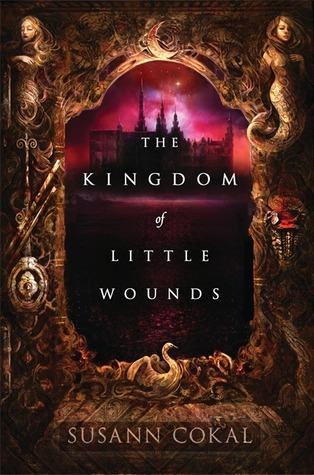 Also, the cover for the next book, The Carnelian Tyranny, is simply gorgeous! Can’t wait! “Waiting On” Wednesday is a weekly meme hosted by Jill @ Breaking the Spine. In a world of shadows, anything is possible. Except escaping your fate. Ever since she was a child, Ivy has been gripped by visions of strange realms just beyond her own. But when her sister goes missing, Ivy discovers the truth is far worse—her hallucinations are real, and her sister is trapped in a parallel realm. And the one person who believes her is the dangerously attractive guy who’s bound by an ancient legacy to betray her. 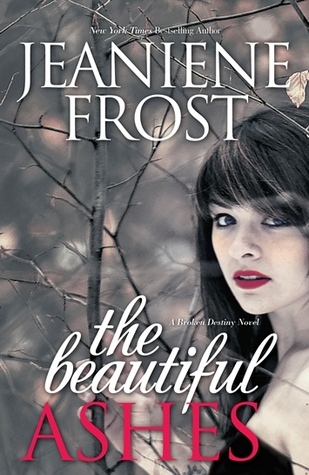 Ever since reading the first Night Huntress book I have loved Jeaniene Frost’s work! She is a fabulous author with amazing characters who have interesting, complex motivations driving them! And her worlds are a wonderful backdrop to watching the plot unfold! Pretty much I adore her and when I heard about this book I was so excited! I’m interested to see what, if much at all, changes with her working in YA. (Well, obviously there won’t be scandalous scenes like in some of her other books!) But I imagine that it will be fantastic! I have high hopes for this one! 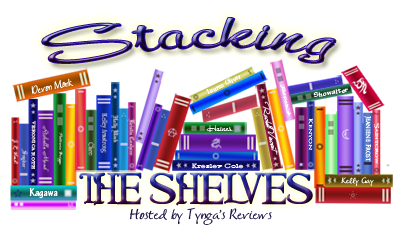 Stacking the Shelves is hosted by Tynga’s Reviews. Inspired Fridays is a meme hosted by Inkk for sharing project ideas and crafty things that inspire you! I’ve always been really interested in paper craft projects and when I saw this one I pinned it immediately! I love birds and I love old books and it seems like a good use for the book part of the old hardcover from last weeks Inspired Fridays that otherwise might just get thrown out! If you are interested in the step by step, head on over to lia griffith! There’s a great printable template there! Consumed by the visions of a mysterious man that walks in the depths of her dreams, Emily’s desire for him continues to grow. 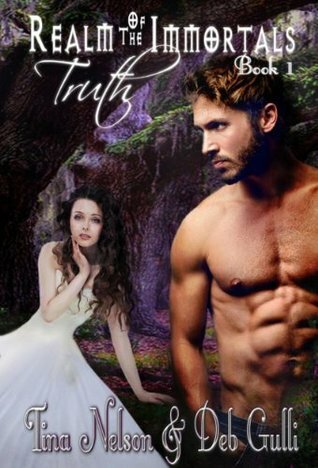 Unknowingly born as the most powerful witch in her family, after finding a box with mysterious items from her past, she embarks on a journey to discover the truth of who and what she is. Fueled by the tragic, gruesome murder of her best friend, her true capabilities begin to surface. Meanwhile, in an alternate realm, immortal King Darian and his brothers search for their longtime enemies, the Calveri brothers. Having committed a crime of unimaginable proportions, they must be found, but have managed to evade all pursuits thus far. With the continuing efforts to avenge his father’s death, Darian must also find the one called the savior and fulfill his destiny to protect his kingdom and people, as it has been foretold by a prophecy centuries old. 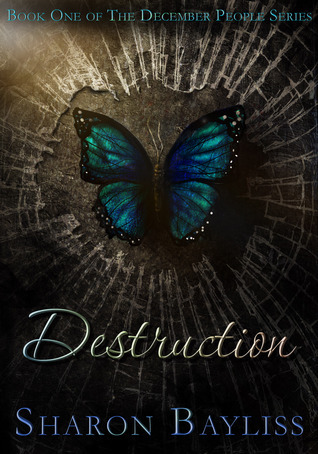 When Emily and Darian collide, will the magic sparks bring them together or rip them apart? 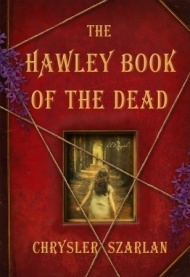 Disclaimer: I received this book as a R2R as part of the Goodreads group Lovers of Paranormal. This does not affect my review and the following is my honest opinion. I really wanted to love this book. Not that I hate it but I seem to be one of the few who are underwhelmed by it. The premise was extremely interesting to me. A witch with her powers locked away and a demon king who needs them to save his world sounds awesome! Add in some serious love/hate and rival really bad guys and you can count me in! However, the characters and most especially the pacing really did nothing for me. All in all, I feel it has a lot of potential but could do with another revision. If the dialogue was more varied and the characters less prone to ridiculous mood swings I think I’d have liked this book a lot more. I’m really sorry I didn’t; I had a lot of hopes for it but it just didn’t work for me. For as long as she can remember, Rio has dreamt of the sand and sky Above—of life beyond her underwater city of Atlantia. But in a single moment, all her plans for the future are thwarted when her twin sister, Bay, makes an unexpected decision, stranding Rio Below. Alone, ripped away from the last person who knew Rio’s true self—and the powerful siren voice she has long hidden—she has nothing left to lose. Guided by a dangerous and unlikely mentor, Rio formulates a plan that leads to increasingly treacherous questions about her mother’s death, her own destiny, and the complex system constructed to govern the divide between land and sea. Her life and her city depend on Rio to listen to the voices of the past and to speak long-hidden truths. 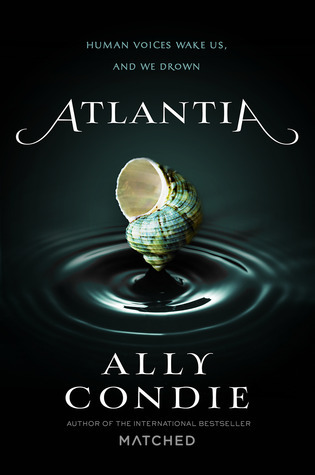 I was drawn in by the cover on this one; I love the ocean and anything sea related has me instantly interested. And then that tag line above the title? I had the brief flicker of some Lovecraftian YA but the synopsis, even lacking eldritch horrors or mermaids, was so exciting! Twins? Dystopian? Under the sea? Twins separated with one stuck in a place that reminds me of Rapture (Bioshock is one of my favorite games!) and another in the wasteland above? I need this in my life! I am stoked! October can’t come soon enough! Leaves: Long, rolled black leaves mixed with ginger pieces and calendula and sunflower petals. Flavor: Ginger with pleasant black tea flavors as well. Body: Rich and sharp – in a nice way. I frequent a farmer’s market where INTU teas are sold and the proprietor, Mary Jones, is one of the nicest people I’ve ever met. She is extremely pleasant and very helpful when it comes to selecting the perfect tea to suit your tastes. Her selection is fantastic and her teas have always been amazing. I’ve yet to drink one that I’d rate below four stars! But this is one of my favorites and one I probably would have overlooked if Ms. Jones wasn’t so enthusiastic about it and offered me a sample on a very, very cold winter day. And on those cold days in the building the market is in, tea is a welcome addition to my day. Ginger Ginger tea is rich and spicy with very strong notes of ginger. While I love that, it might be too much for some. Ms. Jones recommends brewing it with hot apple cider instead of water and that is one of the most delicious things I’ve had! But, as it’s no longer chilly here in the frigid north, I decided to try it iced instead. And it was just as great! Iced teas are an abomination to some but I think I’m going to spend a lot of my summer trying out my favorites and seeing how well they hold up to being iced! Do you have a favorite summer tea? I’d love to hear about it! Life isn’t easy for a teenage veilwalker. Lyric has been on the run for over a decade. 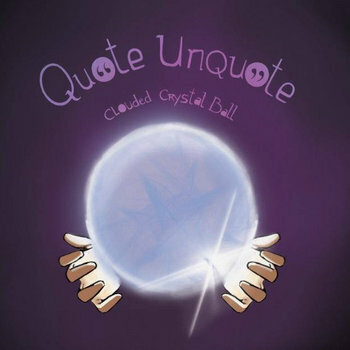 Her brother is her only friend, her father treats her like a soldier, and after an ill-planned trip to purgatory she’s stuck with a bitterly displaced ghost. Charles Hathor has problems of his own—problems he’s confident can be solved with the aid of Lyric’s realm-crossing ability. As the leader of a powerful coven, he’ll stop at nothing to ensure her cooperation. Kidnapping, extortion, maybe even murder; everything goes in his quest for retribution. Alongside her twin, Lyric is forced back into the bowels of the magical world. But working for a vengeful warlock is not for the faint of heart. Relationships will be tested. Unlikely alliances will be forged. And Lyric will discover enemies closer than she ever imagined. Disclaimer: I received this book from the author as part of a R2R in the Lovers of Paranormal Goodreads group. This doesn’t affect my review and the following is my honest opinion. I’ve really been lucking out with great indie books lately! 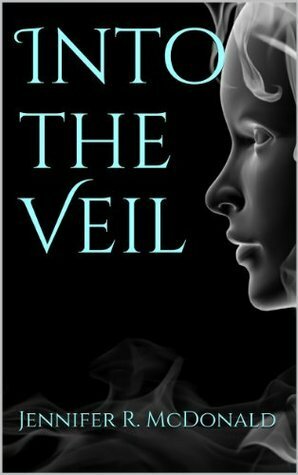 Into the Veil was a really fun, fast paced read that had me readily engaged in Lyric’s story. Jennifer McDonald has created very vivid, lively characters that are so well-rounded! I just adore when characters are as believable as the cast of Into the Veil! It makes it so much easier to immerse myself in the story and, while the plot itself was fabulous, the characters really made this story stand out for me. Lyric and Lincoln have such an extraordinary power and one that is so unique! I was very intrigued by the idea of veilwalkers and I think Ms. McDonald created a very appealing protagonist with Lyric. She was a teenage girl with some teenage concerns, yes. But she was also strong and sassy which I adore in a heroine! I also love the way her and Lincoln’s relationship was written. 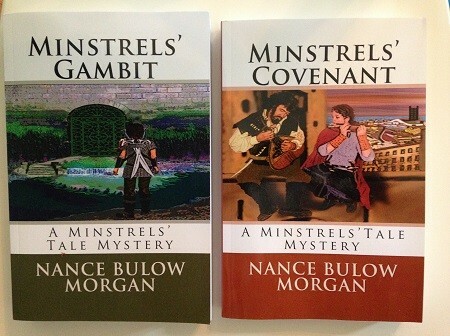 I haven’t read many twins that were, in my mind, well written and they were superbly done! In Lyric Ms. McDonald has crafted a compelling narrator with complicated emotions. A girl that is awkward at times (Which just made her more endearing to me!) and has more on her plate than many people would be able to handle. The world building and characterization and plot were all fantastic but I think it could have used another once over in the editing department. There were some spelling and grammatical errors that made it a little choppy to read but once I was engaged in the plot, they didn’t really bother me. Regardless of them I plan to pick up the next Veilwalker book, Through the Gloom, very soon! Musical Monday is a meme that I have no doubt is done elsewhere as well. As I am not yet making a meme or providing links to other participants, consider it a personal one for the moment.